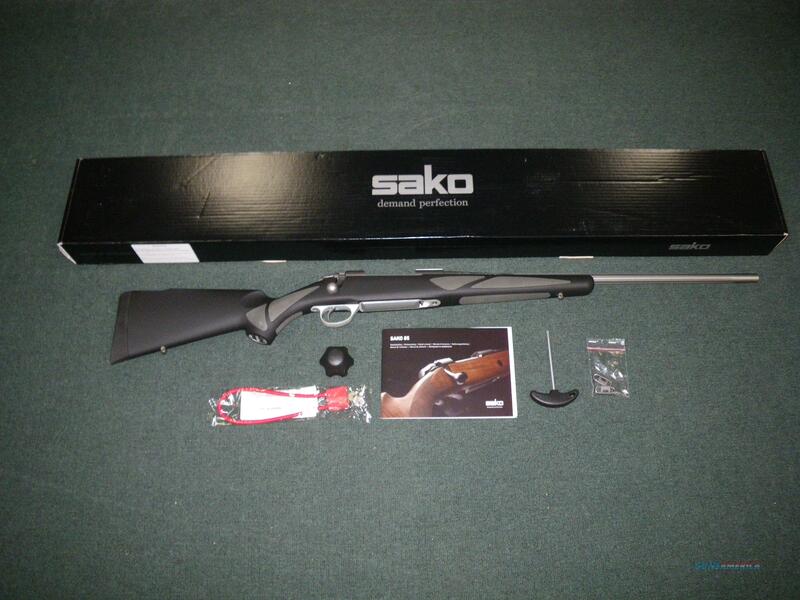 Description: You are bidding on a new Sako 85 Finnlight in 7mm Remington Magnum with a 24.4" barrel. The Sako 85 Finnlight rifle is for those who foray deep into the wild to reach their goal. Hunters on mountain trails or on long-distance treks prefer high-performance rifles that are full-sized, yet still lightweight. The fluted barrel of the Finnlight is just one of the many features that make it ideal for the hunter seeking a perfectly trimmed light rifle. The Sako 85 Finnlight is also an excellent choice for women and younger shooters. Displayed images are stock photos. Any questions please feel free to ask (our phone number is in the additional information tab above).